As a result of being born with bi-lateral hip dysplasia, I’ve single-handedly and silently endured this condition and chronic pain for my whole life. My understanding about what it’s like to navigate these waters has inspired me to write Silent Courage and share what I have learned on my journey. 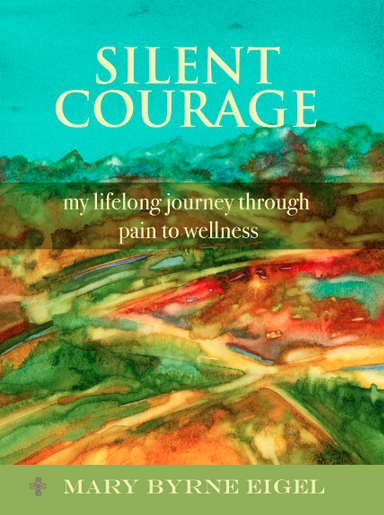 Silent Courage is available on Amazon (paperback), Barnes & Noble, Nook, Kindle, and SmashWords. 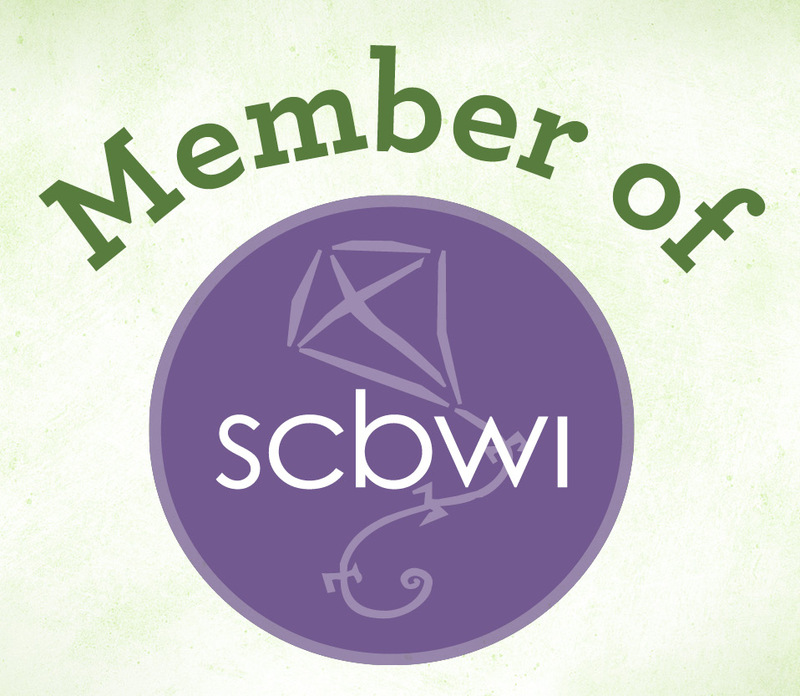 To complement my book, I have designed creative workshops, classes, and a variety of events regarding pain and wellness. Let’s plan something together. Contact me for more information and availability. As a watercolor artist, I created my book’s cover. The painting is available to purchase as a print in My Artwork. A portion of the sales will go to the International Hip Dysplasia Institute to fund research and provide education. American Chronic Pain Association’s Chronicle article August 2015. “Stories of Changing Attitudes and Treatments” page 2. The September 2014 issue of the American Chronic Pain Association’s Chronicle featured me in an article. I have been a long-time fan of this publication, and it’s exciting to now grace their pages. 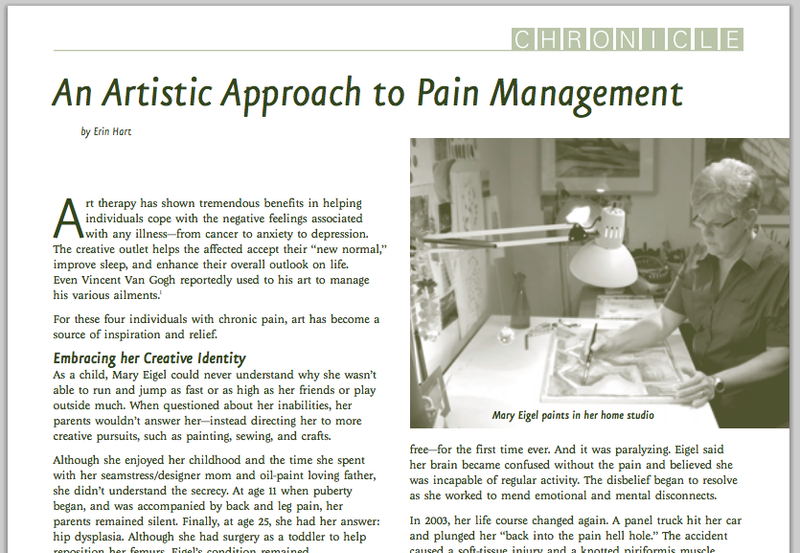 Check out page 6 for the story on how I, along with a few creative and courageous others, use art to manage our chronic pain. Great story! Thank you for sharing your gifts with us. thanks for being public! the more of us who tell our stories, the closer we get to being really, truly heard – and making a difference for the chronicbabes who come after us. hugs! Thank you for sharing! It is such an encouragement to others who are in chronic pain to know that we are not alone as we face these battles. Thanks Al. Good things coming. I am just so happy for you. I know all the work you put into this project. BRAVO!! Beth, thanks. I know you know what went into this. I have so much gratitude for the team of folks, including yourself, who made it possible to bring this dream to life. Hello Mary Byrne. This is Patricia Doyle. I believe we were in the same class. I am going to check out your book. I remember your smile. Pat, made my morning to see your comment. Do I recall that you are out west? Still toe tappin? Love if you want to check the book out, there are actually several chapters about Founders. (No Footlights) How are you doing? Hi Mary. I bought your book for my Kindle. Just the first page tells me what a good writer you are. I’m sure I’m going to enjoy the book. Happy to find it. I still live out west. Not toe tappin anymore because of course, I married a guy who doesn’t like to dance much. Oh well. I like him just the same. Mom passed away in October – I miss her terribly. My sister and her family live out her, which is really nice. I have two great nieces — instead of having my own children — so that works out. What’s up with you? Pat, wonderful. Do hope you enjoy. I will send you an e-mail with more info. Tony, Bless you and your work. There is such a need for educational information and readily available resources that go beyond the traditional needles, knives and narcotics. I would be happy to send you a copy of my book and sign it for you. E-mail me your address. Congratulations. Living with pain is such a mixed experience. You have clearly navigated it well. Michael, thank you for your comment. Being born with pain, and never knowing my body without it, I realize my perspective is different. So grateful to be on the pain-free side of things. But it takes work to stay here. You have a great website. Thankful you have found your voice and are sharing. Isn’t the process of focused writing amazing? 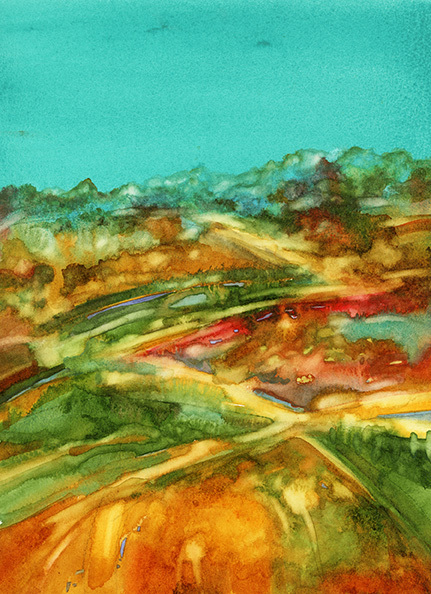 I spent 40 year as an artist, but know that I never processed my life through art as much as I have through writing. Namaste. As I was reading your daughter’s blog, I came across your book. I’m looking forward to reading about your journey from pain to wellness, as I retired from DePaul University’s soccer team after tearing my ACL for the third time. Would you be willing to connect over email? I’d love to share your story and connect further. Biana, I would be happy to connect. My email is on the top right. Looking forward to hearing from you. Great job Mary. Your special insight brings this issue to light beautifully. I look forward to more of these great books! Jeanne, Thank you for your comment. It was a lot of blood, sweat and tears doing Silent Courage. After I was done, a professional counselor, who was reviewing the book, noted that what I had done was Narrative Therapy. I had never heard the term, but knew that I had cleared some major debris from my system. I am loving presenting “Mining your Soul Story” workshops for others. It is so healing.